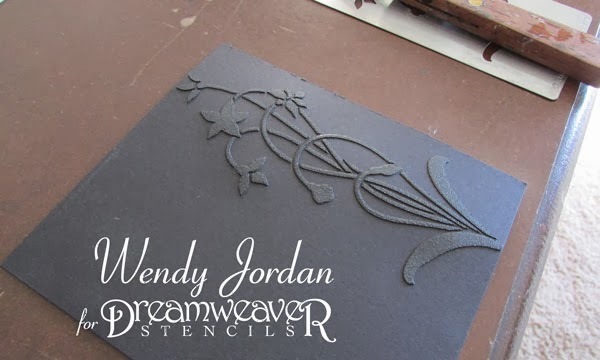 Paper Therapy: Dreamweaver Stencils March Madness Challenge!! Welcome to Dreamweaver Stencils March Madness Challenge!! This month the madness is taking your creative personality and Dreamweaver Stencils and putting it on paper, canvas, a home decor item, oh the list could go on and on. I haven't used the crackle technique in what seems like forever, so that is what my madness was this week. 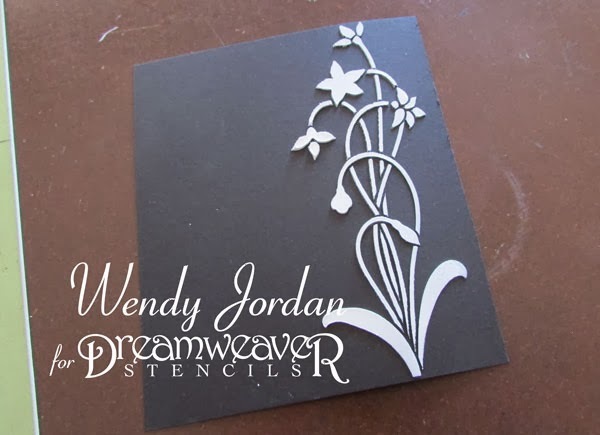 Step One: I chose Dreamweaver Stencils Star Flower (LL3027) for my project. The first step to using Dreamweaver Crackle paste to to use Dreamweaver Matte Black Paste first. This will provide a "toothy" background for the crackle paste to cling onto. When the crackle paste cracks you will also see the black through the cracks. Step Two: Once the black paste is dry, replace your clean and dry stencil on top of the dry paste. Tape down your stencil again and apply crackle paste over the top of the back paste. The above photo it what the paste will look like after applying. It is now time to grab a cup of coffee and allow the crackle to paste to dry, as it dries it will start cracking. Once the paste dried, I added a small amount of color over the crackle. I used Prismacolor Color Pencils. The sentiment was pasted from Dreamweavers Thank Yous (LG691) with DW Glossy White Paste. 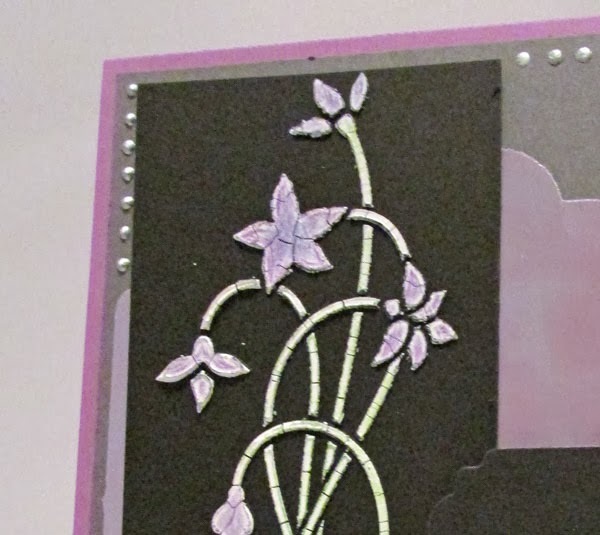 The shimmery background as well as the sentiment backgrounds were cut with a new Dreamweaver Stencils Nesting Frames (DD001) die cuts. Designed By You is a home based Embroidery and Personalizing GIft Shop. Creating unique gifts with personal touches! !